Sorry on my phone and image tags don't seem to be working. BUT GUYS!! WHO???? Perhaps Garnet/Pearl fusion??? There's the Garnet/Pearl theory and then a theory that it's a completely new gem. I would LOVE to see a new Gem!! 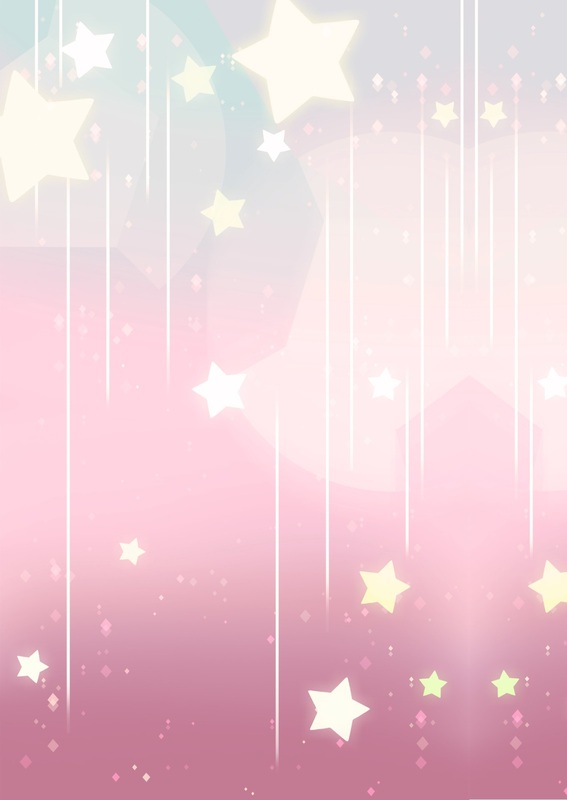 With what we know about StevenBomb 3.0, what are your speculations on what's going to be revealed to us this go round? i've heard the sardonyx is jasper one, and i think i can see how people got there, but as far as plausibility, i don't think she is. pearl/garnet fusion could work, but looking at the color scheme, idk if that's it either. in 'keeping it together' after peridot sees the gems and is trying to make her escape, she mentions that 'she got all the info she needed' from her venture with the injectors at kindergarten. sardonyx and peridot are both linked to august as birthstones, so there could be something in that. due to our limited knowledge about homeworld and what type of society gem society is, it's hard to pin anything down. i am p sold to the theory that peridot and jasper are envoys sent to create an army and gather intelligence because something bigger, something badder (i know that's not a word i'm using it for consistency) is after homeworld and they are scared. they are panicking. but i would bet that sardonyx is gonna be a fusion of some sort. i'm thinking, going back to peridot and the kindergarten, sardonyx is maybe a forced fusion and that's why peridot was pulling those other forced fusion gems out. she was checking their stability. checking that sardonyx maybe stil existed? idk. Thoughts on this? Specifically the images used for each episode. Is that pear supposed to be one of the Crying Breakfast Friends that Steven loves so much? you guys. 3 days. i'm pretty sure i read that sardonyx is confirmed to be pearl/garnet!!! that was my second leading theory, so i am quite satisfied. Sardonyx is indeed Pearl/Garnet. I can see why the whole Sardonyx thing was hyped up. Meanwhile I'm amused that she looks like Peridot. To the point where I propose the nickname Good Dorito Mom for this fusion. 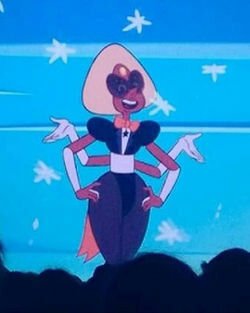 Sardonyx, in my opinion, is the most aesthetically pleasing fusion to date. From the amusing Doritoness of the August birthstone to the suit, I just love how she looks. I love ladies in suits, and while gems aren't exactly ladies, Sardonyx rocks the suit. Also, if you look closely in the video, you'll see that Sardonyx has five eyes, which is the only amount of eyes I expected for her. Edit: She has four eyes. She looks cute as heck anyways. So we're all gonna marrie Sardonyx? We could barrow rose's dress. Omg yes Sardonyx is amazing! I cant wait to see that episode!!!!!!!! i'm super stoked. i kind of was expecting something a little bit fancier or more grandiose for the personality combo that is pearl/garnet, but it's still pretty!!! Uhhh...sorry, but I find Sardonyx looks kinda ugly. Her design just looks really tacky to me. to each their own i guess. but the week of feels has yet to start so lets all get mentally prepared as possible. yep yep! ad this forum is a safe place for everyone to share their own opinions! i didn't dislike it at all, i just felt like with pearl and garnet's personalities and their distinctive character designs they could have done something a little bigger. i kinda wish we could have gotten a little more pearl. i'm currently on the fence about how many spoilers i want to see; i've obviously already seen sardonyx, but other than that, and the video that was posted, i haven't seen anything else. there's only 2 days left and idk if i want to wait or give in to my urges and know everything know lol. a spoiler link would stop one from automatically knowing, but give one the choice to be spoiled or not.